More than half of California is mountain lion habitat. 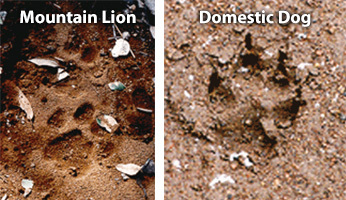 Mountain lions generally exist wherever deer are found. They are solitary and elusive, and their nature is to avoid humans. Mountain lions primarily eat deer, but, if allowed, they will prey on vulnerable pets and livestock. In extremely rare cases, even people have fallen prey to mountain lions.